Adam Greyhawke is through with marriage. 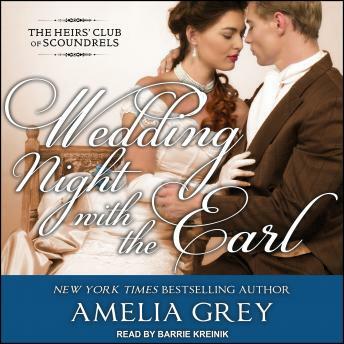 After losing his wife at a young age, he's more interested in carousing and gambling at the Heirs' Club than taking another trip to the altar. When his obligations as the Earl of Greyhawke thrust him into the heart of Society, he dreads the boredom that only a ballroom can inspire in a roguish scoundrel. That is, until he meets a bewitching young woman who captures his curiosity-and reminds him just how delicious desire can be. Miss Katherine Wright is accustomed to men interested only in her generous dowry. Adam's attraction is far more powerful-he tests her wits and her courage at every turn, until she finds herself longing to fulfill an everlasting passion she never imagined was possible. But the breathtakingly handsome nobleman is as stubborn as he is scandalous, and Katharine must be the one to convince him that real love is worth any risk . . .